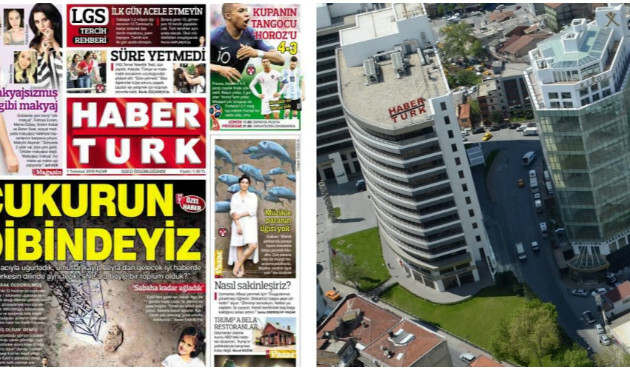 Turkish newspaper Habertürk will close its print operations on July 6 and go digital-only, SuperHaber.tv news site reported on Sunday. According to superhaber.tv, the newspaper is facing financial problems for some time and has already closed its offices and printing facilities in some cities in Anatolia. Habertürk is owned by Ciner Group, a business group close to the government. The group also owns Show TV and news channel Habertürk TV and is the main shareholder in Bloomberg HT. According to journalist Ergun Babahan, the editor of Ahval’s Turkish web-site, this decision has implications specific to the Turkish context. “This is an indication that people in Turkey are determined not to give credit to fake news,” Babahan said. Babahan expects that other newspapers belonging to pro-government Demirören and Turkuvaz Media groups will follow Ciner and end the print operations of most of their newspapers, leaving a few like Sabah, Hürriyet, Posta, and Takvim, in order to reach the supporters of the Justice and Development Party (AKP) who do not use the internet. The increase in the value of the U.S. dollar against the Turkish lira and the rising printing costs are the reason behind this tendency, Babahan said. “From now on in Turkey, it will be impossible to be both a pro-government businessman and a real media boss,” he added.